Loneliness, depression, and appetite loss can set in when a dog misses its absent owner. 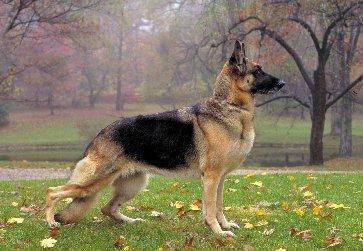 Share this pet sitter's story and some suggestions about what she should do to help a sad German Shepherd. Does a Mom Cat Miss Her Kittens? I am house sitting with two German Shepherds, a mother and daughter, and have been here for two weeks now. I came around to hang out with the dogs about five times before their owner left. Since their owner has been gone, the mother dog has gone gray around her mouth, and has lost a lot of weight. She looks sad, but totally perks up on her runs every day. She will not eat much of her food and lets her daughter have it. If I feed her in a separate location, she will just sit down and ignore the food! Please help me. I'm worried, but I don't know if she needs to go to the vet. She looks so sad and appears to look at me and sigh! When you say the dog went gray around the mouth, do you mean the fur, or her gums and tongue? Grayish, pale gums and tongue can be an indicator of illness. Have you been able to reach the owner to let him/her know that there's a problem? If the owner left you contact info for the vet, then I think you really should call and tell him/her what is going on. It does sound like the dog is depressed over her owner's absence, but it's the weight loss that truly worries me. In the meantime, I suggest that you try cooking for her to get her to eat. I'd recommend cooking some ground beef and boiling some rice, then mixing it all together. This will provide her with protein, carbs and fat, and she should find it too tempting to resist. If she does pass it up, there may be something medically wrong. Hopefully the dogs' owner is scheduled to return soon.